39 Conduit Rd. Hong Kong – Drillworks. 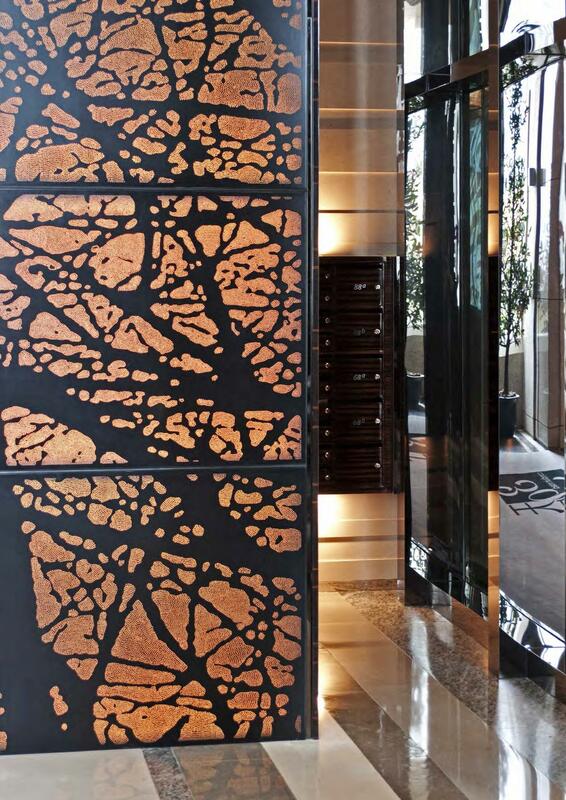 In 2008 nearly 100m2 of panelling were drilled to create this wall in a new residential building in downtown Hong Kong. The panel sections were each around 900mm x 650mm and were fitted together to create one huge treescape image. The project took careful planning and drilling and was installed on a bespoke stainless steel framework. Each section had opaque perspex fitted behind to strengthen the delicate boards and help diffuse the light which was produced by banks of RGB LED’s. The whole was finished in a satin black lacquer.